Having recently been laid off, my world is a different place. Gone are the days of consistently imposed structure, office camaraderie and, most notably, a steady paycheck. My coworkers and I got the bad news right before the holidays; the small graphic design and branding studio we worked for was having trouble bringing in new business and could no longer afford our salaries. After 5 years I cleaned out my desk and said goodbye to people who were like family. While visiting my actual family in Seattle for the holidays, I got the ball rolling: I applied for unemployment, got a bit of freelance graphic design work, and I volunteered to help a friend with a great startup with which she had begun working as CEO. A good start to staying afloat, making new connections and keeping my skills sharp, but the idea of looking for full time work was sincerely intimidating. For over a year I watched my incredibly qualified, ivy-league educated boyfriend (as well as other friends) struggle to find steady work; how could I possibly expect to find a job? Even though I had been productive in Seattle, upon returning to NYC I felt disillusioned and disheartened. Usually coming back from visiting my family is a chance to dive back into my life and routine, but this time it felt as though I had neither of those things. The blank slate of my life was staring me in the face, and it was terrifying. I know enough people who have been laid off that everyone understands what I’ve been going through, and with empathy they encourage me to see this time as an opportunity to explore my career and myself. Yes, of course, an opportunity – I was just having a hard time seeing it. Who do you turn to at a time like this? Luckily my alma mater, CUNY School of Professional Studies, has an excellent Career Services office. Shannon Gallo, the Career Services Director, and I recently met to go over my career objectives and she had some very helpful suggestions. First we explored what type of company I want to work for, what type of work I really want to be doing, and how to approach my job search with those parameters in mind. It turns out that I want to do more meaningful work. As a marketing and design professional I want to promote a company or product that’s doing some good in the world, or at the very least not actively harming it (see my previous post about fast food marketing). Some people think marketing in and of itself is not a meaningful pursuit, but I always say that even institutions such as non-profits, hospitals and schools need to be marketed. So we decided I would stay in my field but target companies whose values and mission statements align with my own. Shannon told me about some great job search websites specifically for the non-profit sector such as Idealist.org, NYNP.biz and JustMeans.com. I was concerned that I haven’t worked at non-profit before and that I might lack important experience. Shannon pointed out how in my cover letters I could discuss relevant coursework from my BA in Communications & Culture, to show my interest in and knowledge of issues often dealt with by non-profits such as social and civic reform, the diverse cultures in New York City, and socioeconomic issues in general. Shannon also gave me some very helpful job search tips, like keeping track of all the jobs I apply for in a spreadsheet and making PDFs of job postings so I can revisit them later if necessary. We discussed improving my LinkedIn profile, becoming more active on the website in groups, and requesting recommendations from people with whom I’m already connected (Shawn Abraham recently wrote a great post about using LinkedIn). We talked about creating a schedule for my days and weeks, making sure I get in enough time to look for paid work to balance out the volunteer work I’m doing, to get out of the house on a regular basis, and even to try and have fun occasionally. After speaking with Shannon, I feel like the terrifyingly blank slate of my life could in fact be seen as an opportunity to re-imagine a more meaningful and fulfilling career path for myself. Knowing how to better describe myself as a qualified candidate, I now feel more confident applying for jobs that I might actually want. I’m also very thankful that I can send Shannon drafts of cover letters and resumes and she’ll give me honest, informed feedback. It’s wonderful that as students and alumni of CUNY SPS we have such a great Career Services office. 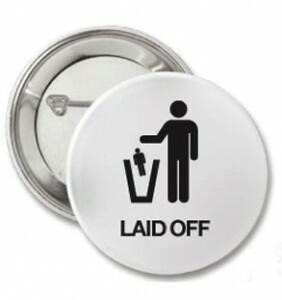 You don’t need to be laid off or out of work to take advantage of this resource. If you’re unhappy in your career path, wondering how to put your SPS degree to use or just curious about your options don’t hesitate to contact Shannon Gallo at: shannon.gallo@mail.cuny.edu, 212.817.7166. My only regret is that I wish I had done it sooner. Rachel Smith is a marketing and design professional in New York City. She graduated from the SPS BA in Communications and Culture in 2009. Currently she is a founding member of the Alumni Relations Council and By Laws Task Force. Rachel loved the BA program which inspired her to work towards fostering community and collaboration among Alumni at SPS.